I looked at the number of days till the Australian ski season...and I didn't like the number so much that I chose to reinforce my perpetual state of ski induced poverty by heading to Hakuba for two weeks. 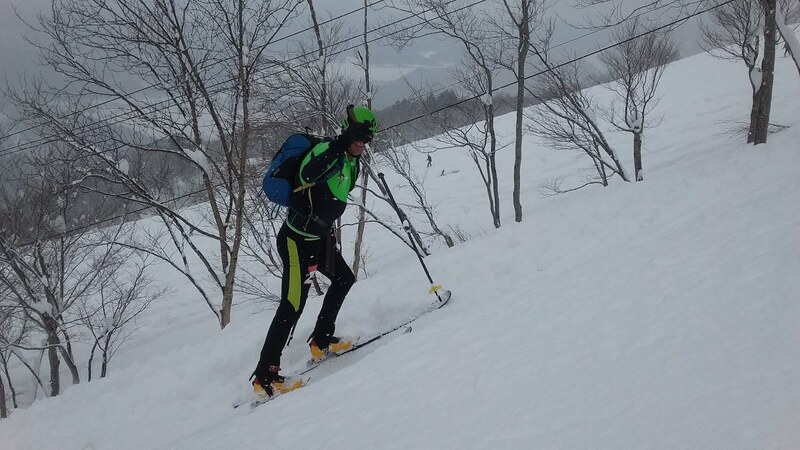 I managed to ski ten days, half in resort and half touring - the later split between Tsuigake and Happo ridge. There are still so many lines there to ski that I could go back again for many years to come. Conditions were good, avalanche stability was solid and there were none of the crowds associated with winter. I even got to participate in my first ever skimo race...and I learned two lessons: I'm not a sprinter, and it's very easy to overheat when racing. Nonetheless, it was a fun day, which was topped off by a free group lesson with a mountain guide; he who skied down black runs in unbuckled race boots. Despite the language barrier, I learned a couple of tricks for next time. As always, downhill technique remains a bit of a struggle (at least compared to where I'd like to be). I'm improving, but I reckon it's taking time to break down some ingrained and habitual practices that are holding me back. - ankle flexion: It's too easy just to say 'get forward', and I don't know if that by itself helps. I find it better to think of pulling my skis back under my center of mass - the more I do this, the better I seem to ski. The next step is to flex forward into the boot at the end of the turn, rather than getting a bit out of position with an overly-extended outside leg in the turn. 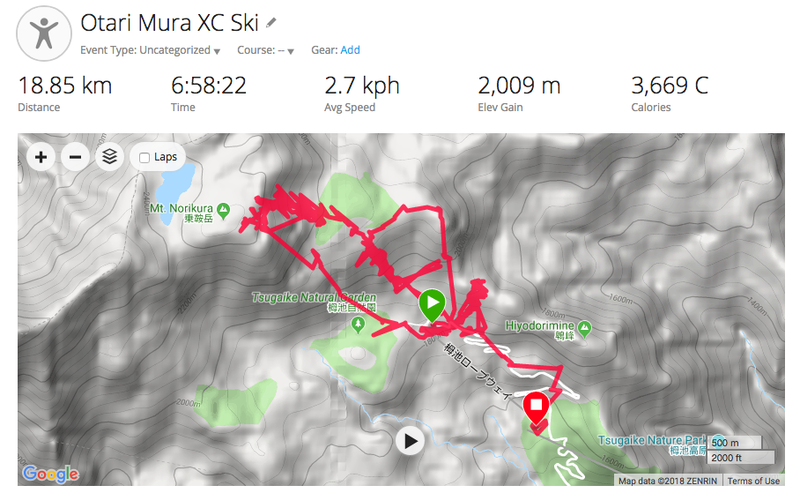 - being light on my skis: Hoji talks about this...the idea of being neutral, centered and reactive in the middle of the ski - being light and agile enough to react to changes in the snow. I'm still experimenting with this, so haven't quite got the words to describe this best yet. 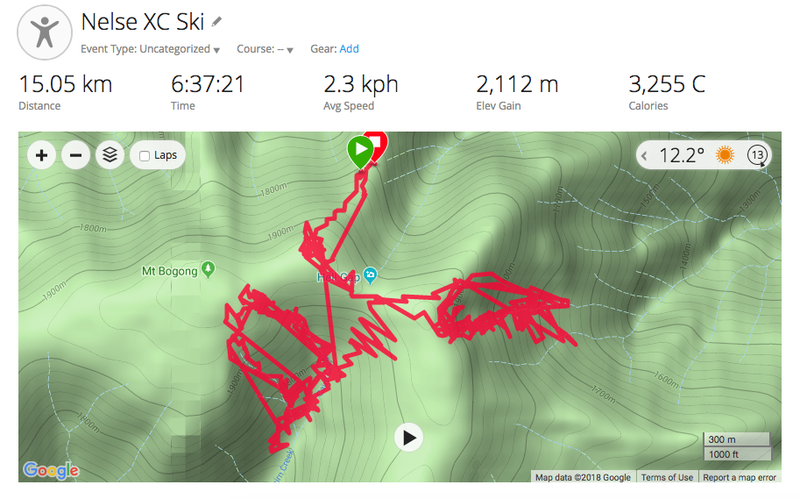 - working on guiding the unweighted ski: I still think that I start many of my turns with a subtle wedge. I think ankle flexion will help here, but I'll be working to be more attentive towards the unweighted ski than before. As always, there is a tension in terms of the gear that I'm seeking to use; I love to go fast and light to get heaps of skiing in, but I've also grown to like speed on the way down and want to start jumping off things in the BC. Evolving technology is making things easier regardless of one's predilections. Boots seem to be the area of greatest development recently, and I'm going to be playing with two 'strands' of setups related to the two new boot acquisitions I've made. Both the above boots are the latest in the lightweight trend - to the point now where categories are shifting. Now freeride boots can be 1.3kg each, whilst a general touring boot (with performance similar to the venerable TLT6) can come in at under 1kg. No doubt an extra few kilograms will be a penalty on the ascent...the question is, how much so? Figures thrown around online suggest anywhere between a 15-30% reduction in touring capacity; that means it'll take 15-30% longer to do the same amount of skiing on the freeride gear than the skimo setups, and correspondingly more physical exertion. I found it hard to ascertain the effects of heavier gear last season, mostly due to fitness gains compensating for embracing heavier gear. If I had to guess so far, I'd say it's about a 15-20% cost in terms of efficiency for me. It'll be interesting to see which 'strand' gets more use this winter. Team Weasel Alpine Chronicle felt clunky - it's now Snow Monkey Skimo!